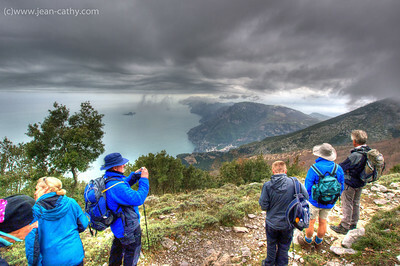 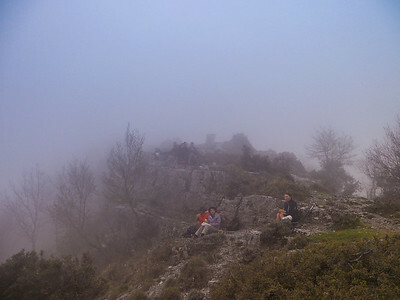 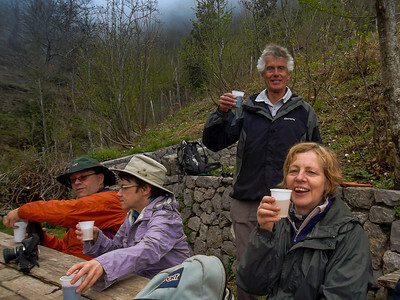 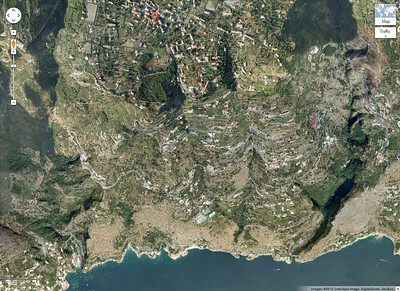 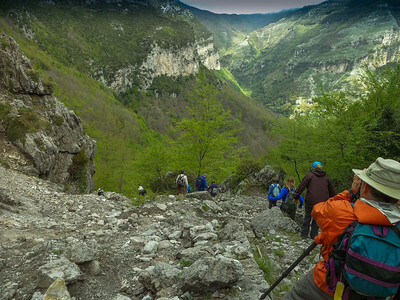 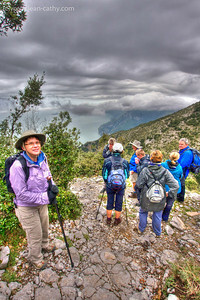 This was primarily a hiking trip in the Amalfi Coastal mountains that was organized by "Exodus". 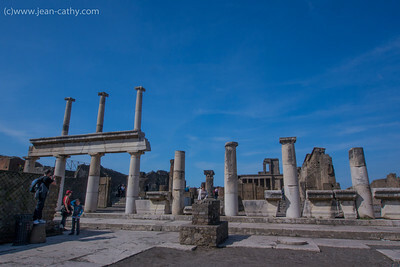 We did finish the trip off by ourselves in Rome. 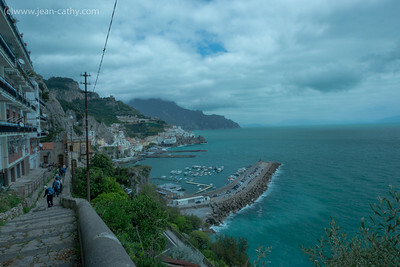 Our walk from Agerola to Amalfi was very picturesque ... hence the pictures! 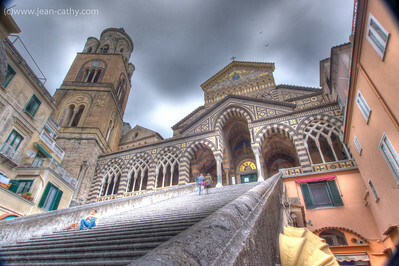 Here are only a few of the 2700 stairs we went down today! 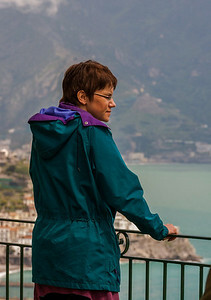 The fog lifted and Cathy caught her first glimpse of Amalfi! 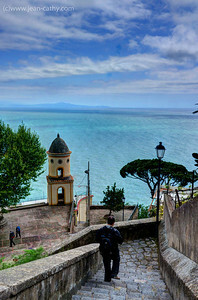 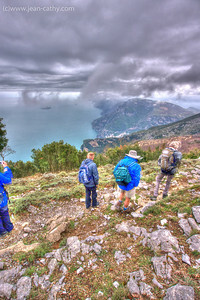 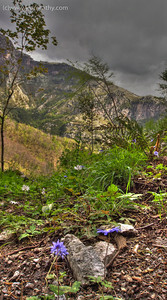 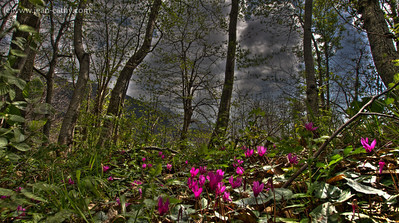 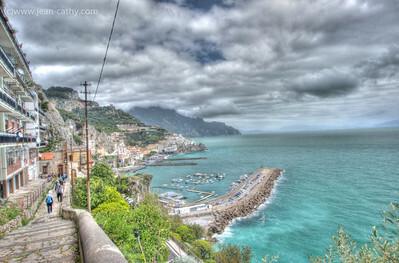 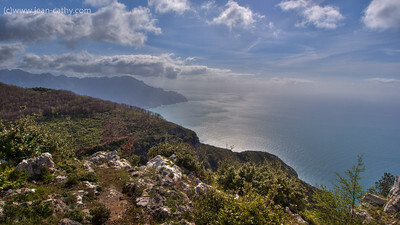 HDR - Our walk from Agerola to Amalfi was very picturesque ... hence the pictures! 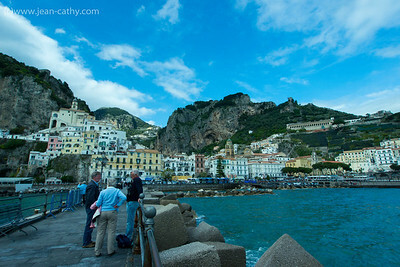 Our first day of hiking and our first view of Amalfi! 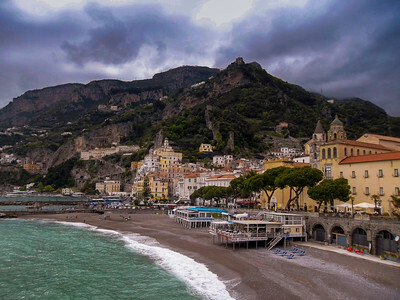 Our Hotel - Due Torri ... 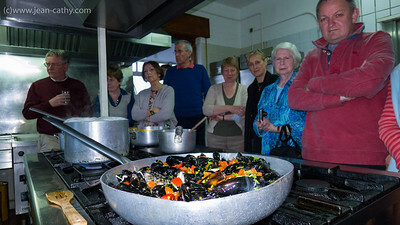 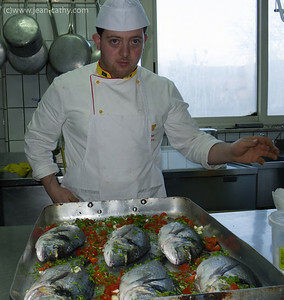 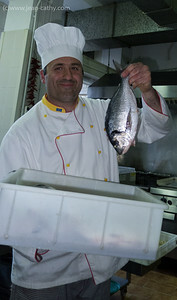 Chef Gionni puts us to work in the Kitchen, we had a lot fun! 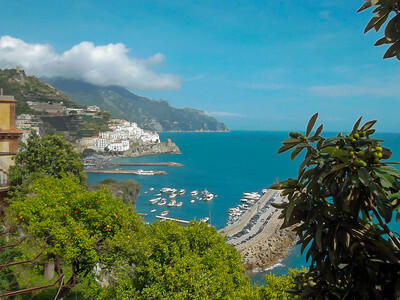 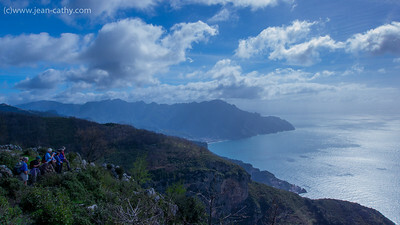 A routine hike in Amalfi. 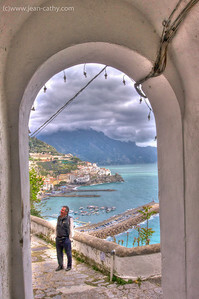 The view here is along the Sorento Peninsula and you can just make out the Island of Capri in the distance. 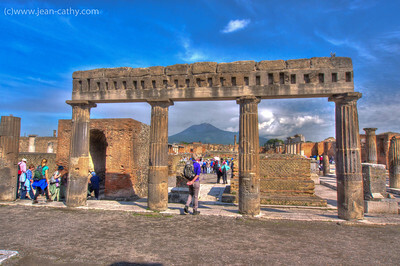 The city of Pompeii is a buried Roman city near Naples. 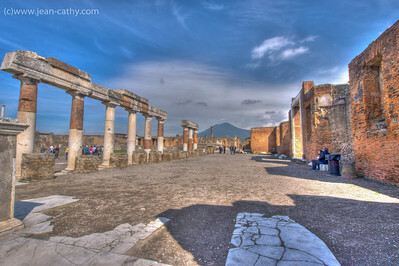 Pompeii was partially destroyed and buried under 4 to 6 m (13 to 20 ft) of ash and pumice in the eruption of Mount Vesuvius in AD 79. 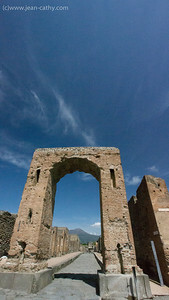 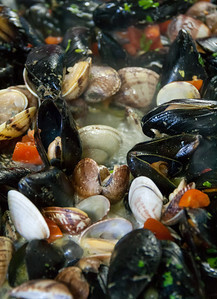 It was lost for nearly 1700 years before its discovery in 1749. 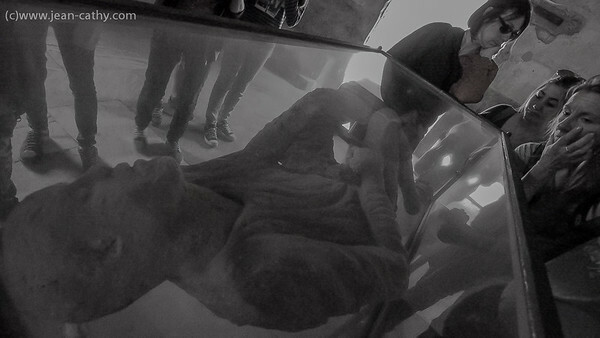 The excavation has provided an detailed insight into the life of a city during that Era. 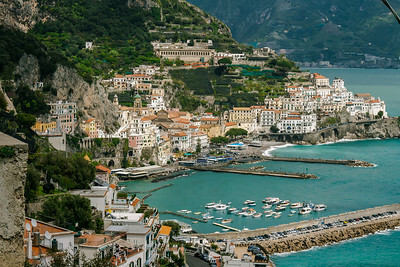 Today, this UNESCO World Heritage Site is one of the most popular tourist attractions of Italy, with approximately 2,500,000 visitors every year. 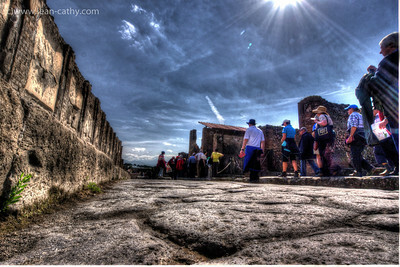 2000 year old stone paved roads of Pompeii .. 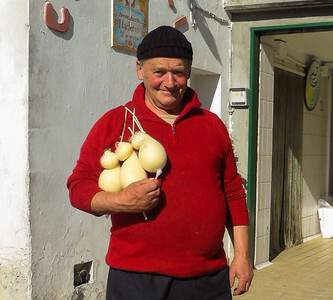 The roads are in better shape than the 3 year old streets of Waterloo! 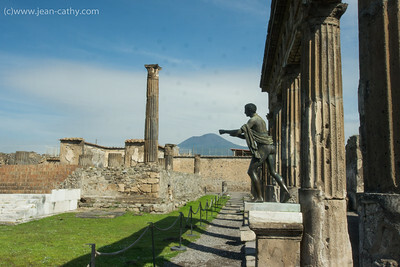 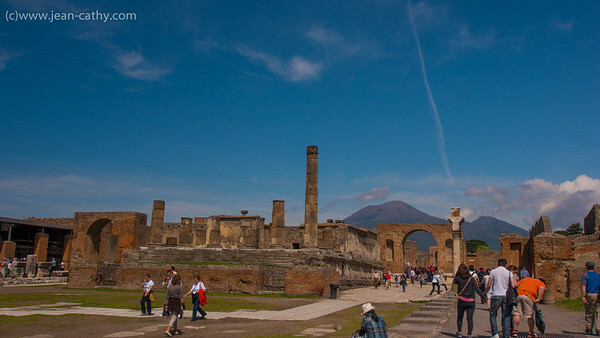 The un-earthed remains of Pompeii with Mount Vesuvius in the background. 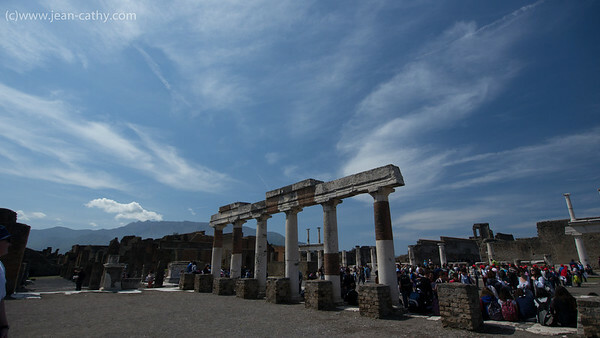 Pompeii - the city that was buried 2000 years ago by the eruption of Mount Vesuvius. 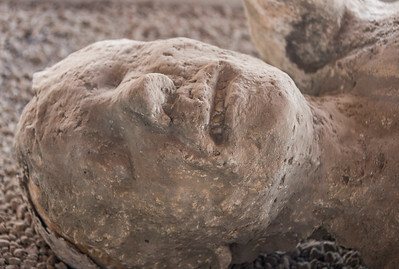 It was discovered about 150 years ago. 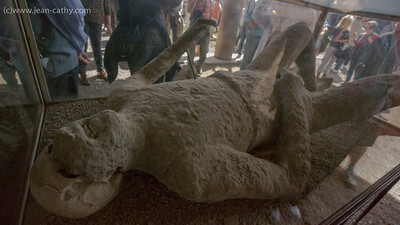 Here one of the bodies that was un-earthed. 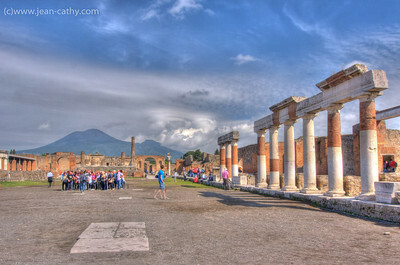 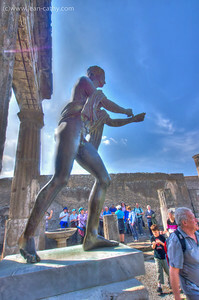 Same as previous Photo but done in mild HDR: Pompeii - the city that was buried 2000 years ago by the eruption of Mount Vesuvius. 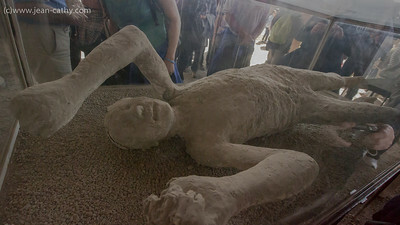 It was discovered about 150 years ago. Here one of the bodies that was un-earthed. 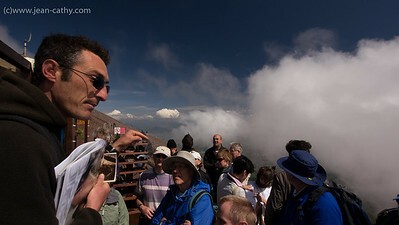 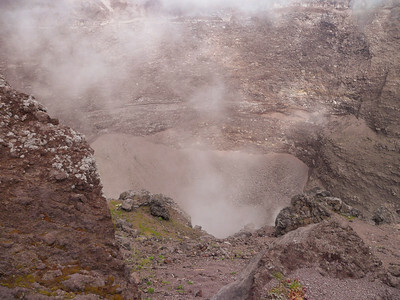 In the mouth of Mount Vesuvius ... it hasn't errupted since 1944! 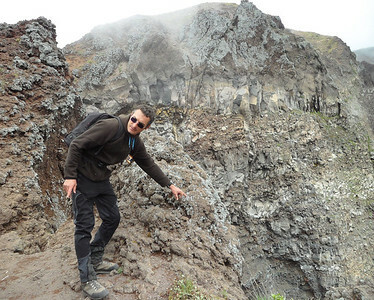 Our Volcano guide - "That's the volcano"